Cyanotype Printing Masterclass, with artist Joe Ford. Following on from the popular success of Wu Chi-Tsung's initial Cyanotype Masterclass with Redeye Photography Network, artist Joe Ford will deliver a one-off Cyanotype Printing workshop in response to Chinese Arts Centre's first UK solo show of Taiwanese artist Wu Chi-Tsung, alongside a Curator's tour of the exhibition. 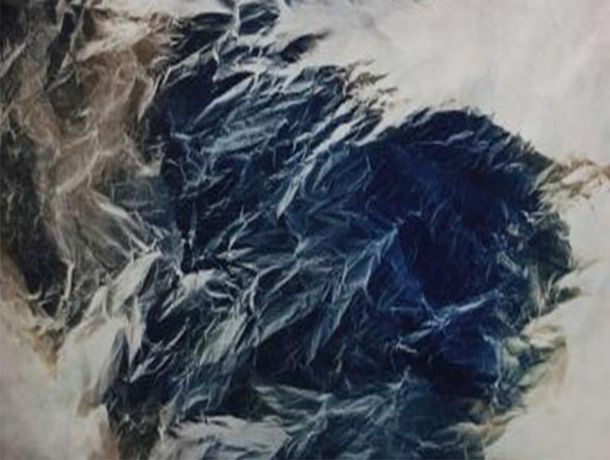 Wu Chi-Tsung's Wrinkled Texture series are formed from cyanotype photographic techniques, exploring the aesthetics of traditional Chinese landscapes. In this session Joe will teach you the basics of the process and give you a brief summary of its history and use. You will then create a photosensitive cyanotype print, exposed with a choice of objects (photogram), an A4 acetate negative or a paper print. By the end of the session you will have made a cyanotype print to take home and have the knowledge required to experiment with the technique further! The Cyanotype Printing Masterclass will include a Curator's tour of the exhibition, a practical demonstration and workshop, and an open discussion of the artist's work. This event is recommended for those with an interest in photography at any level who would like to be more experimental in their work, with no prior experience necessary. Places are limited so please book early to avoid disappointment.